When The New Yorker calls you should pick up the phone. 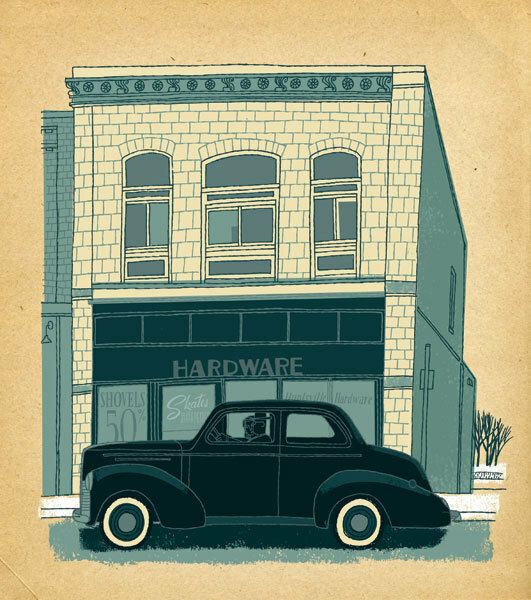 Art Director Chris Curry asked if I’d do an illustration to accompany a story by Alice Munro. 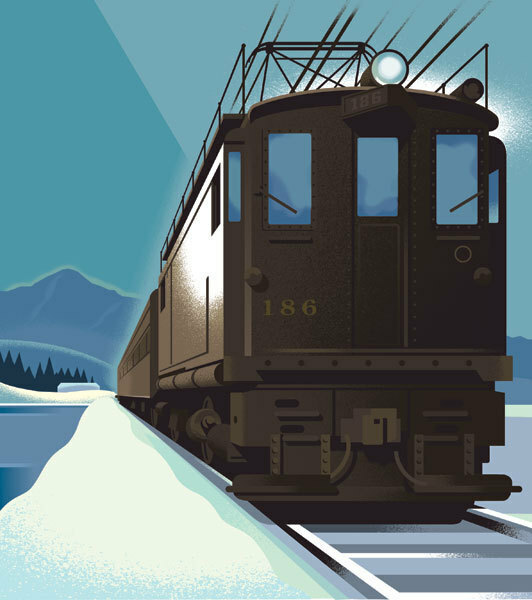 She had the idea that a train in the snow would be the right image for a short story that takes place in Canada during World War 2. Train rides bookend the story, so Chris’s request made a lot of sense. 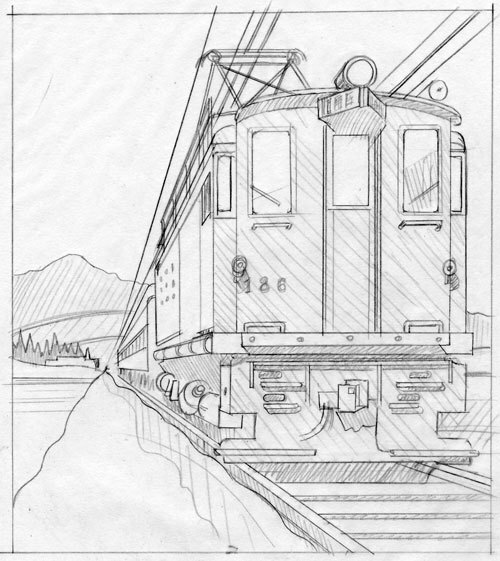 I did some research into what type of electric trains saw service in Ontario during the war years and made a sketch that has a vintage train poster vibe with a bleakness that fit the story. Munro’s writing is full of quiet closely-observed moments that suggested many ideas for illustration and I thought I’d also send over a drawing that was a different way of approaching the piece. Turned out that Chris was right and everyone liked the train image best, and it’s in the current issue. 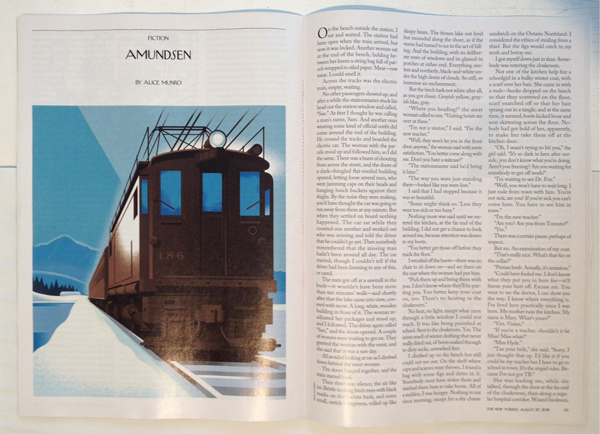 It’s always cool to see an illustration you did alongside that distinctive New Yorker typography. Man, this is a beauty. Great mood to the illustration, Paul. Even with all those hard lines, the somber tone softens the image. Paul: Very elegant and cool solution. And flawlessly done. Harkens back to the great A.M. Cassandre. But with a delicate touch. Beautifully done Paul! It looks brilliant on the page. Beautiful! Love that blown-out highlight on the side of the train. Yes, alongside that typography, and Alice Munro's name. That's big time. Great job Paul. It has that art deco poster feeling. And a distinctly Canadian ambience. Congratulations Paul! Nice piece. Get The New Yorker to let you sell it as a poster. I'd buy it in a heartbeat. Late on commenting, but I enjoy both. The chosen image is very classic modern. The alternate possesses a certain humanity.